Sky Power, a leading developer of 2-stroke combustion and Wankel engines for UAS (Unmanned Aerial Systems), has partnered with Unmanned Systems Technology (“UST”) to demonstrate their expertise in this field. The ‘Platinum’ profile highlights how their engines and accessories can be used for a range of fixed-wing, VTOL and hybrid drone designs. 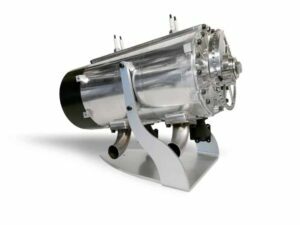 Sky Power’s Heavy Fuel engines are available in one- or two-cylinder models and have been tested under the harshest of conditions to ensure the highest performance and reliability. The engines are also available with patented engine mufflers to further reduce noise levels. Engines with a cylinder capacity of 20.68 cubic inches and higher are fitted with manually operated compression release valves as standard, with automatically operated valves available upon request. Engines with a cylinder capacity of 3.30 cubic inches are fitted with automatically operated valves as standard, reducing the load on the crankshaft if an external electrical starter is used, and allowing the engine to be stopped and restarted while the UAV is in the air. All engines with a capacity of 55 cc or higher can be delivered as a twin-spark version, with independently operating ignitions. This provides quieter running, increased safety and reliability and redundant operation. Sky Power’s gasoline engines are also available in one- or two-cylinder models. All engines can be fitted with a carburetor, or with an electronic fuel injection system that increases power, reduces fuel consumption and allows better control and regulation of the engine. As with the heavy fuel engines, all gasoline engines with a capacity of 55 cc or higher can be delivered as a twin-spark version, with independently operating ignitions. All gasoline engines can also be upgraded to Competition series, optimized for enhanced performance with modified transfer ports and individually adjusted compression for each cylinder. Competition series engines benefit from increased power and torque, as well as improved throttle response at lower RPM ranges, and are painted with two coats of highly temperature-resistant metallic orange 2K engine paint. 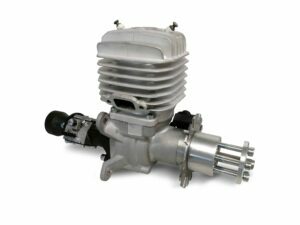 The SP-480 Wankel Rotary UAS Engine is a hybrid cycle engine with a compact design. The 4-stroke rotary engine is very light and offers an excellent power-to-weight ratio, allowing for a higher payload in field operations. The hybrid boost provides up to 15 kW of additional power, which can be used to make lift-off or acceleration easier. The SP-480 can run on gasoline or Heavy Fuel, and is offered with a standard manifold or high pressure injection (HPI). Engine cooling is performed by water cooling of the housing and active oil cooling of the rotor. 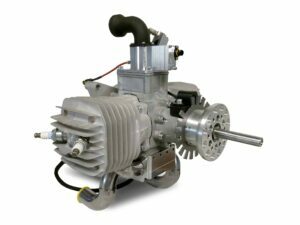 Sky Power has developed a new UAV Engine Construction Kit, allowing propulsion systems to be ideally tuned to the customer’s desired performance parameters and application area. The kit is based around a UAV engine, which can be equipped with both a carburetor and Sky Power’s new injection system. An exhaust, silencer, ECU and ignition can be added to this as required. In addition, the engine can be supplied with an e-drive or generator, which uses a converter to generate electrical energy for batteries and super capacitors. The resulting system can be used as a pure power generator for electrical motors, but also as a combined system in which electrical and combustion energy can be used in combination. Pure combustion energy usage is also possible. 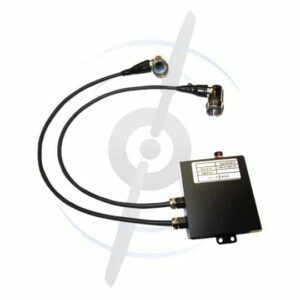 The HKZ215 is a high-performance ignition system which improves not only the overall performance of the engine but also the exhaust emission values. It is constructed with a light and robust, nickel-plated aluminium housing. All add-on components such as connection sockets, spark plug connectors are designed for demanding areas of application. The ignition system is shielded and emits only low interference radiation. The ECU030 is a fuel injection system for 2- and 4-stroke engines. The universally applicable electronic fuel injection system can be used for both petrol blends and Heavy Fuel applications. An automatic controller adapts the fuel blend to the actual air pressure and external temperature. Four ignition channels with two separate adjustable injection nozzles ignite the fuel blend. In the process, the pump pressure is electronically regulated. An automatic choke function is also built in. All engine data can be monitored by means of a PC. Sky Power also offers a range of UAV engine testing, overhaul and maintenance services.